Comparing Ecommerce Platforms: Which One is Right for You? Ecommerce is the fastest growing retail market in the US. In fact, roughly 15% of US retail sales took place online in 2017! As you can probably imagine, a lot of people are excited to get in on the action, but running an effective ecommerce business (or branch of your business) isn’t as simple as picking a product and posting some ads. To really succeed at ecommerce, you need to pick the right ecommerce platform. The good news is, there are a lot of ecommerce platforms out there. The bad news is, lots of options can make it hard to figure out which platform is right for your needs. If you are in the middle of picking an ecommerce platform, you’ve probably seen firsthand how many different features you have to choose from. Even in a blog post like this, comparing and thoroughly evaluating every ecommerce option out there would be overwhelming and frankly not very helpful. So, in this article, I’m going to focus on 5 of the most popular ecommerce platforms: Shopify, 3dcart, Bigcommerce, Volusion and Big Cartel. If you’re like me, when you think about picking an ecommerce platform, the first thing you think is, “How much is this going to cost me?” After all, many ecommerce businesses take a little while to start producing meaningful profit and it can be a bit scary to spend a lot of money on an ecommerce platform with no assurance of revenue. As you can see, Big Cartel is hands down the cheapest option on our list, especially for someone who is just getting started. Even their most expensive option is the same price as Shopify’s mid-tier option. For example, if you think your store is going to scale up quickly, Shopify is a great platform to consider. It scales incredibly well and can handle the demands of large amounts of traffic with ease. If your store takes off, you’ll be grateful that you decided to start with a $9/month platform instead of a free one. Compared to the other 4 ecommerce platforms on this list, Big Cartel’s startup process is a nightmare…but that’s only because the other platforms have done such a good job of making their startup process easy and intuitive. Long term, Big Cartel doesn’t shine in the “ease of use” category, either (I guess you get what you pay for, right?). It doesn’t have a drag-and-drop editor and it doesn’t give you a ton of built-in customization options. If you want to make your Big Cartel store your own, expect to do some coding. In terms of how easy it is to get your store set up, Bigcommerce’s incredibly clean and clear dashboard is neck-and-neck with Shopify’s. In fact, if you don’t care about customizing anything, you can get your store up and running in a matter of minutes with Bigcommerce. If you are interested in customizing your store design, however, Bigcommerce isn’t quite as user friendly as some of the other options on this list. While Bigcommerce does have some nice design features, it doesn’t offer a drag-and-drop editor and you may find that you need coding expertise to get what you’re really looking for from the platform. Of course, for full customizability, you’ll want to learn a little coding (or pay someone to do it for you), but 3dcart offers plenty of customization options for even the coding clueless, which makes it one of my favorite ecommerce platforms in terms of usability. All of the ecommerce platforms on this list offer at least a few design templates you can use to give your store a polished, professional look, but there are a couple of platforms that really stand out in this area: Shopify and Bigcommerce. Historically, 3dcart didn’t have a lot of themes and the ones they did have looked quite dated. Now, however, 3dcart offers just as many free and paid themes as Shopify or Bigcommerce. The themes might not be quite as polished as the ones on Shopify or Bigcommerce, but with how easy it is to customize your design on 3dcart, that’s an easy problem to fix. All of 3dcart, Bigcommerce and Shopify’s themes are beautifully designed and do a good job of convincing potential customers to buy. 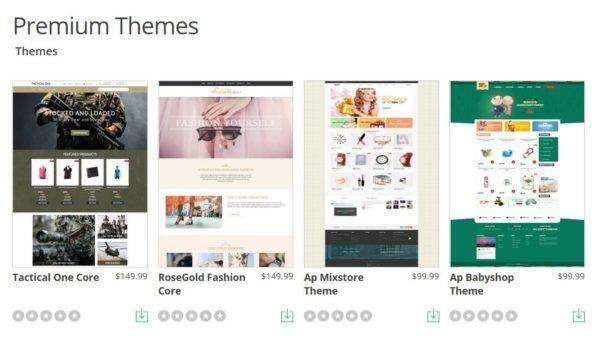 In addition, with all of these templates at your fingertips, these ecommerce platforms make it easy to give your store a unique look and feel that sets it apart from the competition. By comparison, Big Cartel and Volusion don’t offer much in the way of templates. They only offer a few themes and those themes are incredibly basic. Combine that with how difficult it is to customize your design on these platforms and you may need to pay a designer and a developer to get the kind of design you need. Generally speaking, Shopify and Bigcommerce offer the widest range of plugins from both the platform itself and third-party companies. Both of these ecommerce platforms have a robust user base, which means that there are a ton of developers who have created niche plug-ins that could be perfect for your needs. 3dcart also has a number of plug-ins, but they don’t have as many and it can be harder to find them. Big Cartel and Volusion again come up short in this department. Volusion only offers one app and Big Cartel doesn’t offer any. Again, while these platforms can be great if you have the expertise on hand to develop your own custom plug-ins, without a developer it may hard to customize your store. Here, Shopify and 3dcart are the clear winners. Both of these ecommerce platforms offer 24/7 phone, chat and email support. Bigcommerce and Volusion, by comparison, offer 24/7 email and chat support, but may not always be available for phone support. But, if you’re like me and prefer typing to talking, that may not be a problem. Of course, all of these ecommerce platforms have a knowledge base that should cover the majority of issues you could potentially run into. This is particularly true for Shopify and BigCommerce, which have the largest user base and thus the most forum activity and user-generated content. At the end of the day, the “right” ecommerce platform is the one with the pricing, features and customizability that you need. 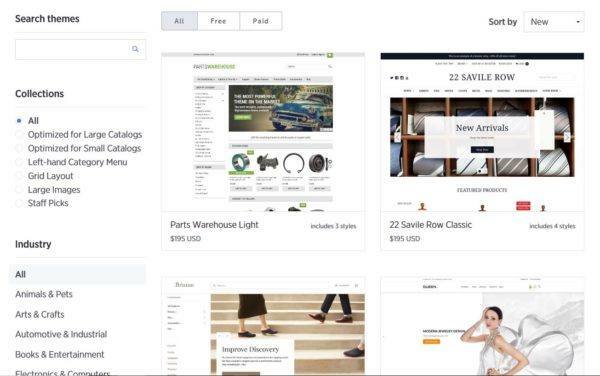 Hopefully, this article has helped you compare some of the bigger ecommerce platforms and think through what you want from your ecommerce platform. If you still have questions, though, or want help optimizing your ecommerce site, let me know here or in the comments. I’d love to help! 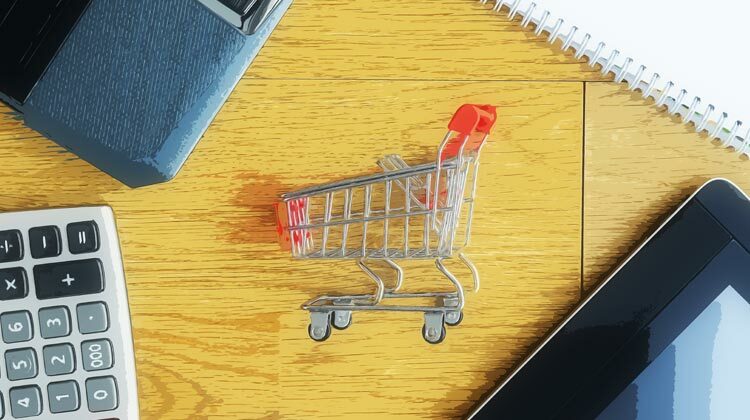 Have you tried any of these ecommerce platforms? What was your experience like? What recommendations would you make to someone who is trying to pick an ecommerce platform? Leave your thoughts in the comments below. Great article! You made a typo in there, though. When you talk about Shopify, you wrote Spotify instead. Great article. Thanks heaps. Wanted to ask which platform would you prefer for clothing stores with multiple suppliers and ease of transaction ? Also which one is more easy to get market on- I mean which is more popular to be easily marketed? Honestly, in your situation, I’d probably recommend Shopify. Shopify has a ton of different plugins and setups you can use to coordinate a complex system of inventory and suppliers. It’s also quite easy to market on, so it would probably be a great fit for your business. There has been a well build development in the technical market of the internet which is known as e-commerce. There are many uses and significance of this marketing field and is used all over the world to control the technology. Thanks for the comparison! I wonder why you didn’t mention Ecwid. it might be a less known but fully-featured e-commerce platform. Lots of integrated sales channels, like Facebook, Instagram, Amazon, eBay, POS, etc. The best thing for me is that they have a free plan while others have free trials. Great question, Kate. The goal of this post was to highlight some of the biggest ecommerce platforms in the space, but that doesn’t mean that other platforms like Ecwid aren’t great too. However, covering every ecommerce platform out there in detail would probably be more than anyone would ever want to read, so I tried to use the 5 biggest platforms to point out what people should look for in any ecommerce platform. That way, if they decide to consider another platform like Ecwid, they can do so from an informed perspective. All are made from different thought and purpose. A company thinks first and then decide how to serve for the purpose and what really need for the ecommerce platform and this way individual company think for themselves and make their own one which they deserve.